Are you using an Android smartphone or tablet? If yes are you looking for an easy way to root your device by unlocking bootloader and flashing custom recovery? If yes is your answer again then you should use WinDroid Toolkit. Download WinDroid Toolkit from here, install it in your Windows computer and root your device easily. 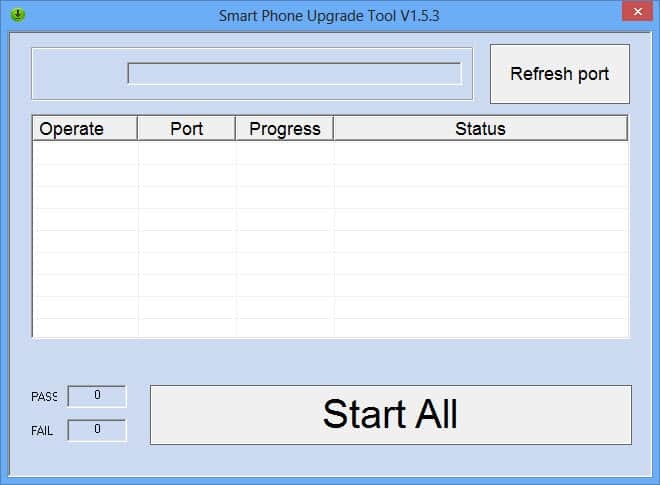 Previously known as WinDroid Universal Android Toolkit, the WinDroid Toolkit is a Windows application that lets you to root Android smartphones and tablets quite easily. Here we have provided all versions of this toolkit. 1) Simple Interface: The user interface of WinDroid toolkit is pretty simple that even if you are a newbie with no Android development experience, you can root your device in no time. 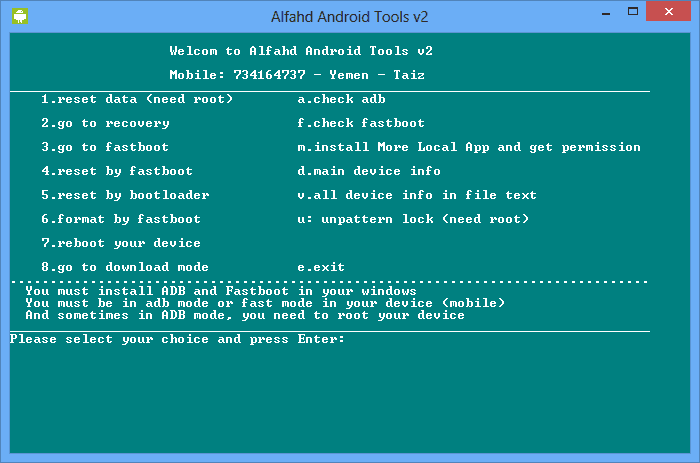 You can also use this Toolkit to unlock bootloader of your Android device. 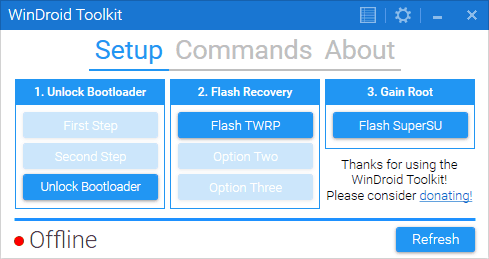 2) Flash Kernel and Custom Recovery: You can use this tool to flash kernels as well as custom recoveries like TWRP recovery, CWM recovery, etc. Also, you can use this toolkit to push files into your device while it is in the fastboot/bootloader mode. 3) Install Apps: Using WinDroid Toolkit, you can install any apps of your choice even if they are not in the Google Play store. Just download the “.apk” file of your favorite app and use the “Install App” feature in this tool to install it in your device. 4) Supports Most Android Devices: WinDroid Toolkit supports rooting of almost 170 plus Android devices making it one of the best rooting tools for Android smartphones and tablets. 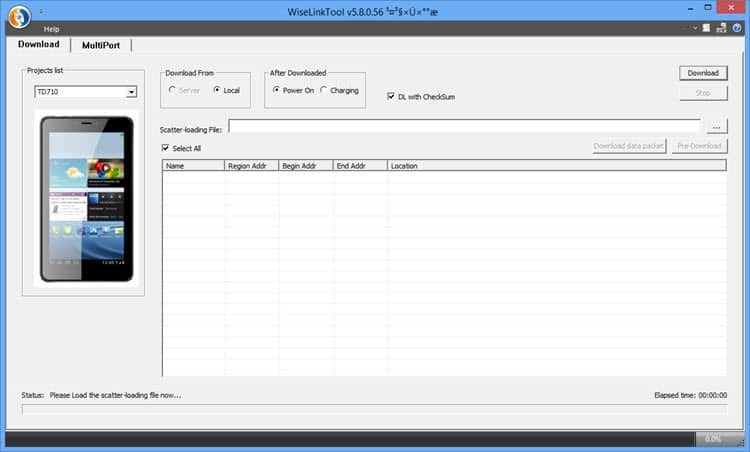 1) WinDroid Toolkit is developed by Rapscallion16, an Android developer. So all credits must go to him. 2) This toolkit requires Windows 7, Windows 8, Windows 8.1 or Windows 10 operating system. If you are using Windows XP or Windows vista based computers, you can’t install this toolkit in your computer. 3) If you face crashing error while trying to open this toolkit upgrade the .NET framework of your computer. 4) If you encounter any other issues while using this toolkit, drop a comment below.